This is our jumbo watermelon wooden door hanger. This is made on 1/2 birch wood, hand painted, sealed, and comes with a metal wire. It is ready for hanging right out of the box! Summertime bright colors are a must when looking for the perfect door candy! 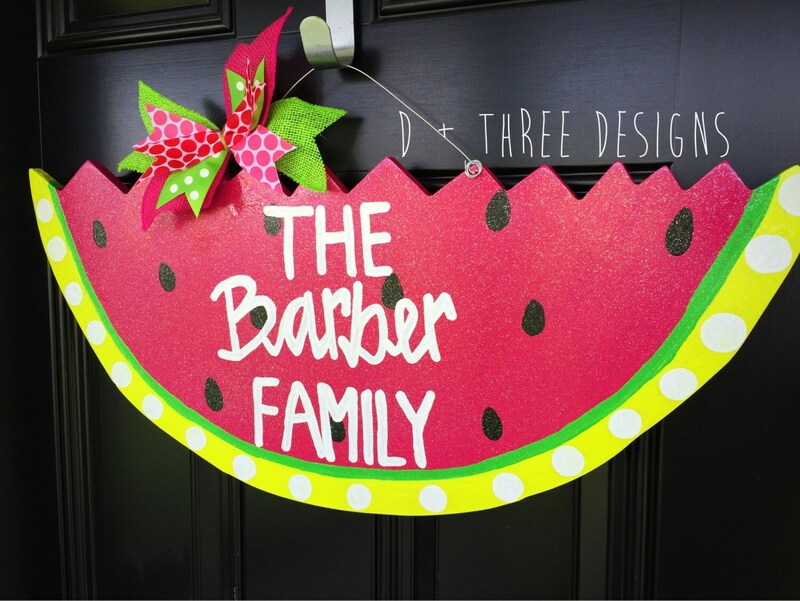 This jumbo magenta watermelon with lime polka dotted green edging personalized wooden door hanger is sure to pop on any front door and be seen from far away! 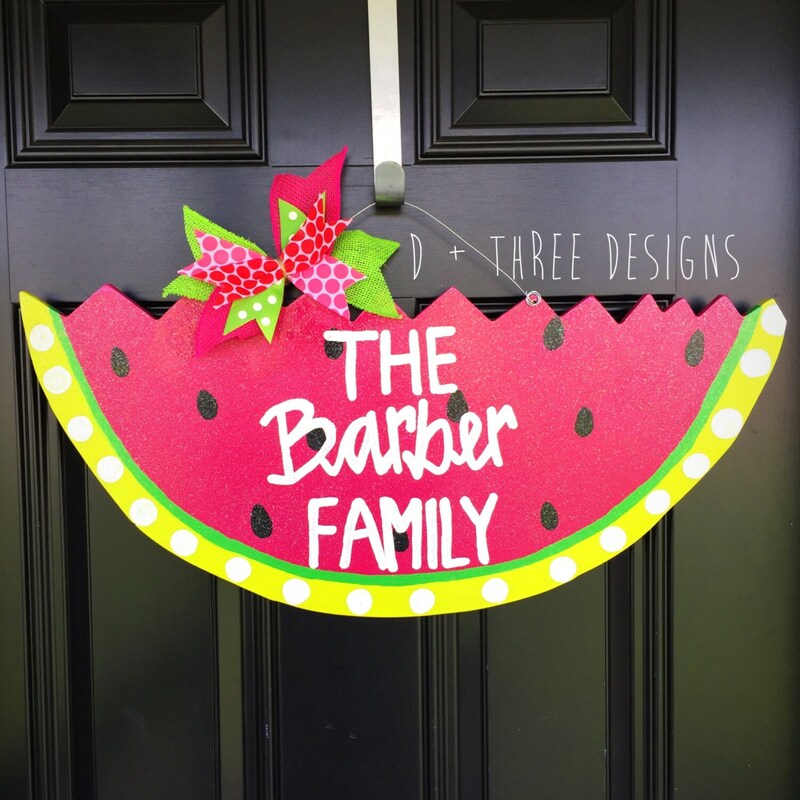 Be sure to put the personalized you would like on this watermelon door hanger in the notes to sellers box when you check out.